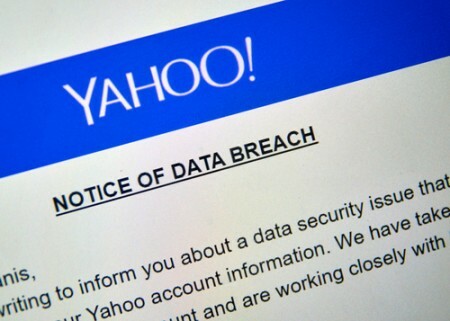 A federal judge in San Jose, California, on Monday refused to approve a class action settlement in litigation over a series of Yahoo data breaches, citing a lack of transparency and the possibility of “unreasonably high” attorney fees. U.S. District Judge Lucy Koh cited several problems with the proposed settlement, including a failure to adequately disclose the size of the settlement fund and settlement class. The opinion is here. Koh was considering a settlement agreement that covered the federal multidistrict litigation before her and parallel litigation in California state court. The Recorder, Reuters, Courthouse News Service and Ars Technica have coverage. The plaintiffs had proposed a $50 million settlement fund, but the proposed notice to class members did not disclose the costs of creditor monitoring services or costs for class notice and settlement administration, Koh said. The proposed settlement authorizes attorney fees of up to $35 million, to be paid separate and apart from the settlement fund. Because fees don’t come from the fund, an award of less than $35 million would mean the leftover amount would revert to the defendants rather than to the benefit of the class, Koh said. That wasn’t the only problem Koh had with the fees. Class counsels calculated fees for 143 attorneys from 32 firms, including 24 firms working on the multidistrict case before Koh and eight firms working on the state case. Yet Koh said she had given approval for just five law firms to work on the multidistrict case. The proposed attorney fees amount to 40 percent of the total payout, which consists of the fees, the $50 million settlement fund figure, and $2.5 million allotted for attorney costs and expenses, Koh said. That’s much higher than the 25 percent benchmark standard governing her court, she said. Kohn tallied the court filings by class counsels and summarized the discovery. Federal court filings by class counsels consisted of a complaint, an amended complaint, opposition to two motions to dismiss, a motion for class certification, and a motion for preliminary settlement approval. Class counsels also prepared four expert reports, took seven Yahoo depositions, and reviewed 9 million pages of discovery. Class counsels in the state case filed a complaint, opposed a motion to stay, opposed a demurrer, and filed a motion for class certification. Yahoo has acknowledged that its entire user database was for sale on the dark web in 2016, and Yahoo purchased it using bitcoin. As a result of the hacks, Verizon got a $350 million discount when it purchased Yahoo’s internet business in 2017.